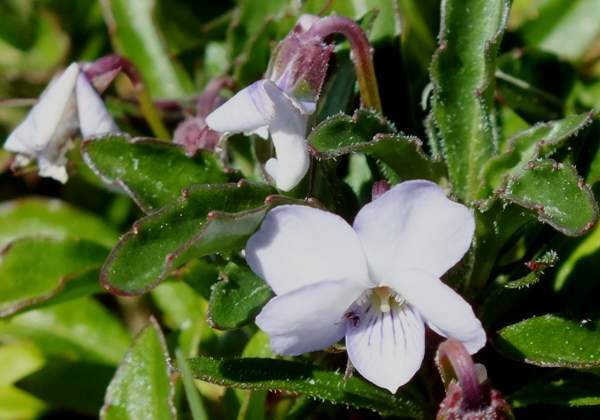 Shrubby Violet Viola arborescens is one of the rare endemic plants to be found in Cape St. Vincent Natural Park (Parque Nacional de Sudoeste Alentejano e Costa Vicentina) in the Algarve region of Portugal. The only other place it is known to occur is on Cape Trafalgar in Spain. Other common names for this rare member of the family Violacea include Woody Violet and European Tree Violet. Viola arborescens forms low-growing pincushion-shaped plants that become woody with age. 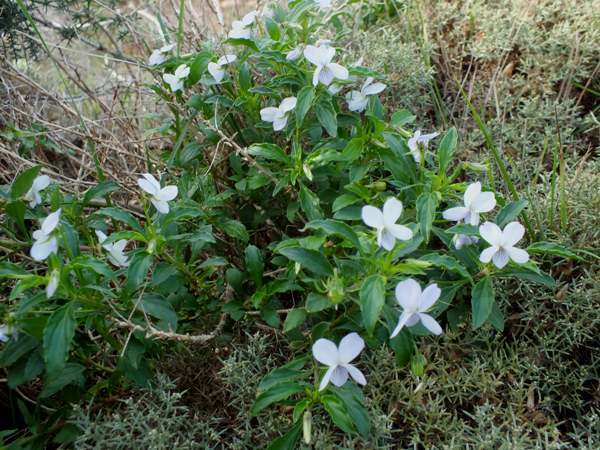 The flowers are very pale blue with attractive linear markings on the 'lip', and the glossy, olive-green leaves are toothed. Sometimes known as Tree Violet (but not to be confused with the Australian plant which is much bigger), Shrubby Violet grows among dense and prickly shrubs along the roadsides of Cape St. Vincent, making it an uncomfortable candidate for photography. It is also becoming harder to find as many of the roadside verges are being taken over as alternative car parking areas for visitors to this iconic part of Europe. It is Europe's most south-westerly point and attracts tourists by the coachload in the summer months. 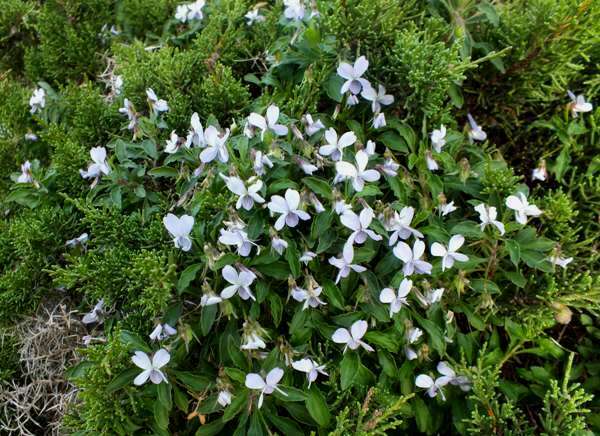 Shrubby Violet produces flowers in March and early April. The specific epithet arborescens means 'gradually becoming a tree' (we would say a bush). The photographs shown on this page were taken in the Algarve, in Portugal, in late March.